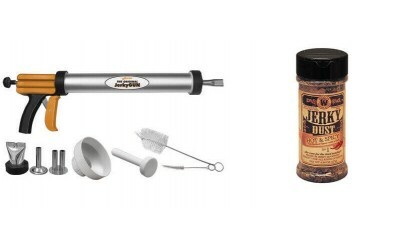 Weston Jerky guns are a great tool for making ground beef jerky. Sometimes called Jerky Shooters, they come in very handy when making jerky. Jerky Slicers and Jerky hangers are available for whole muscle beef jerky so you can have uniformed slices and drying. Drying racks come in very handy when drying meat in the smoker or oven.